Last night President Obama gave a speech to his ongoing campaign organization, Organizing for Action, at the St. Regis Hotel in Washington. 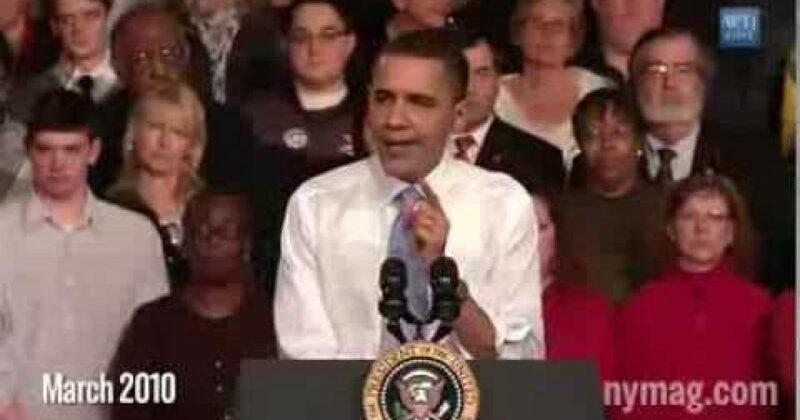 During his speech he talked about the failed Obamacare roll-out and his “you can keep your insurance, period!” promise. So which is it Mr. President, did the video above miss all the times you added a caveat to the your promise? Or did you lie to America…but for their own good? The evidence says you lied and then lied about lying!